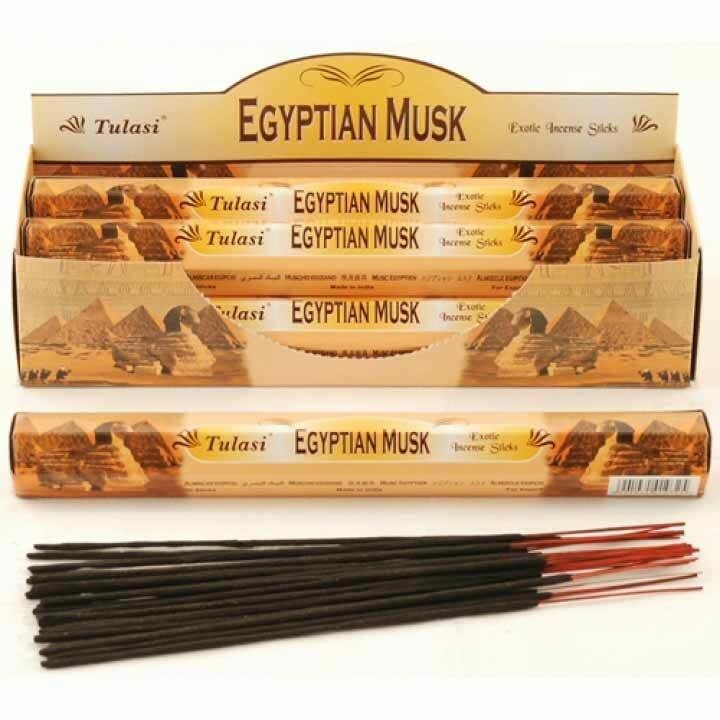 Enhance the atmosphere of any home with these Tulasi Egyptian Musk Incense Sticks. Tulasi Incense Sticks are well known for having a good defined fragrance. To bring any room to life with the amazing aromas of these incense sticks, just light the end of the Tulasi Incense Stick. Once the end glows, blow out the flame and place in one of many Incense Holders. To get the most enjoyment from incense sticks it is advised that they are used with incense holders. Aargee also stock a wide selection of incense holders specifically designed for use with incense sticks. A mysterious and cooling aroma, Egyptian Musk will set a sensual relaxing tone to your surroundings.